Time to review your (overdue) online real estate marketing strategy? I was not too surprised to read the article about the New York Times that will soon go out of ‘print’. There is a big shift from print to online and the real estate industry is probably the most notable. With the global recession we’ve seen many South African property magazines shrinking to half of their normal sizes or go bust. But if you don’t spend your real estate marketing budget on print, where do you spend it online? This includes social media tools like Facebook, Twitter, LinkedIn and Youtube. Social Media presents a fundamental shift in the way we communicate. Estate Agents can use this to their advantage to build long term relationships with buyers and sellers. Social Media presents a shift in how buyers and sellers will find estate agent products & services. 78% of people trust peer recommendations with only 14% trusting traditional ads. Social Media presents a new word of mouth referral channel for the real estate industry and agents in particular. Interesting to note that web users now spend more time on Facebook than Google, so you may want to try out creating a Facebook business page. Here are a few samples: RealNet, MyProperty, Realpro4u, RE/MAX Dynamique Team and Propertycoza and HelpUSell USA. This includes SEO (Search Engine Optimisation) and Paid Advertising (e.g. Google Adwords). Doing a search on Google your will always notice the paid results on the top and right hand side and the normal organic results (achieved through site SEO) filling the rest of the page. Paid advertisements through Google Adwords present a way to calculate your ROI for a given ad spent and allows you to set a monthly budget for your online advertising. With Search Engine Optimisation content and quality is king. 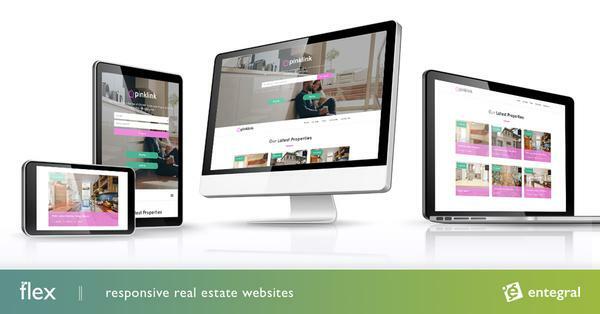 Make sure your website stays updated with new property listings, provide details property descriptions and add regular news articles search engines can index. Explore paid advertising on Google and on Facebook. This includes your own website and listing syndication to property portals like MyProperty, Property.co.za, IOL Property, SA Hometraders etc. Using an online property management system like the OMS, offices can give access to listings for all their agents 24 hours a day. This promotes more up to date listings on your website and provides the ability to list once, and advertise everywhere. With property portal advertising more is not necessarily better. Advertise to known portals with high visitor stats and good search engine ranking to get maximum exposure for your property listings. Mobile websites provide an excellent opportunity to make your listings more accessible to more people anytime and anywhere. In South Africa, there are more mobile handsets with internet access than pc’s with internet access. Entegral provides mobile websites that integrate seamlessly with your agency website. If users try to access your website through their mobile phone, they are automatically routed to your mobile site.